WonderFox 2014 Halloween Giveaway is now moving into stage 3, also the final stage. Began on October 20, it has passed through two stages already. The customer receptivity, involvement, and interactivity in first two stages make stage 3 worth looking forward to. After the preceding stages, we sum up the experience to provide a better range of services. If you missed the stage 1 or stage 2, do not feel disappointed and frustrated. Take the last chance, and join in the stage 3. You’ll get more than you bargain for. 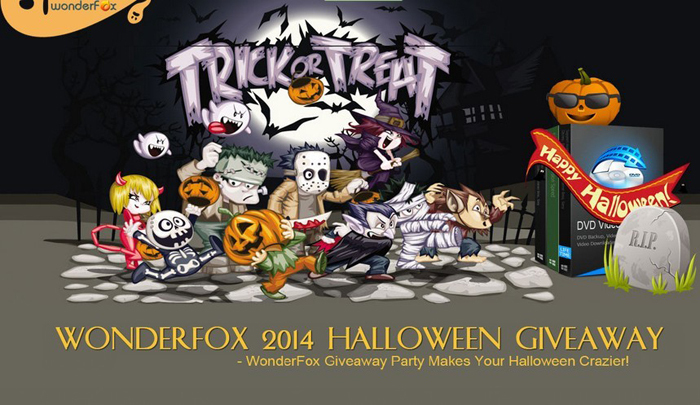 Have you learned of WonderFox 2014 Halloween Giveaway before? Are you familiar with the way to participate? If not, here you are with a brief overview of this big event by WonderFox Software. 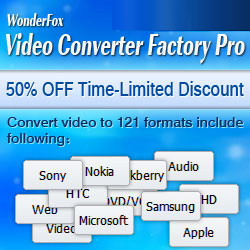 WonderFox HD Video Converter Factory Pro helps users convert video from Standard-Definition (SD) to High-Definition (HD) like HD MP4, HD MKV, HD AVI, HD MTS, HD TRP even Ultra HD 4K standard, and it also supports the newest encoders H265 (HEVC) and VP9. With WonderFox DVD Ripper Pro, you can rip any copy protected DVD to digital video, and transmit it into your portable device like iPhone6, iPhone 6 Plus, Samsung Galaxy Note 4. It lets you backup a DVD to MPG video within 5 minutes. WonderFox DVD Video Converter provides one-stop total solution to rip encrypted DVD (released by Disney, Paramount, Sony, etc), convert video to nearly all the formats and devices, download online video, edit and play video with excellent performance. “Trick or Treat” is a mini-game designed to appeal to the Halloween tradition. It is part of WonderFox 2014 Halloween Giveaway. Anyone who visits the giveaway page and click the “Trick or Treat” icon will get the special Halloween gift. What’s that? Just discover it for yourself.